Was your March a busy month? Mine sure was. I’m ready for April, which might actually end up being busier than March! Did you make lots of blocks? I had another good month with 99 more to add to my total. I made a couple more blocks for the Sew Sisters Quilting Bee I’m in. This one is for Amanda Jean at Crazy Mom Quilts. It’s funny, Amanda and I were both late making and sending our blocks to each other, and without ever discussing it, we both sent our blocks, and on the exact same day we received each other’s blocks! What coincidental timing! We had a good chuckle over it. I got all ready to put my Whistle Stop quilt top together, and was one block short, so I made one final block for that quilt, and used the leftovers from that quilt to make 48 Log Cabin blocks from homespun. I’ll show you both of those quilts later on. I’m busy working on some t-shirt quilts for a customer, and I’m counting 12 blocks toward those so far, and naturally, the rest I can’t show you just yet. But enough about mine, anyway. How did you do? It’s time to report in and update your totals. 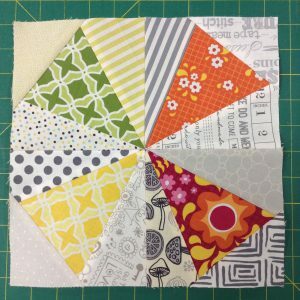 We are a group to be reckoned with so far this year — so many blocks are getting made! I have a sneaking suspicion that we’re ahead of last year, altho I never tally up till the end of the year, because I like to be surprised with our numbers. And we made it past the 100-participant mark, too — woohoo! We’re at 103! It’s a lot to keep track of, so I’m trying to keep the Project Page updated more often. Do be sure and let me know if your total doesn’t look right. Someone’s gotta keep me in line! 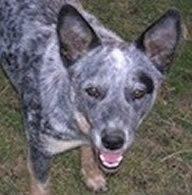 The winner of the prize drawing for February is: Sherry V.! 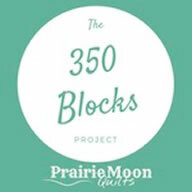 We’re adding another 30 blocks to our goal for April, for a yearly total of 110 so far. Some of you are so far past that, you can just kick back and watch for awhile, right? Wrong!!! Keep sewing! We need numbers! Have a good, fun, stitchy, quilty April! WOW! I am the winner for February! What a great surprise! 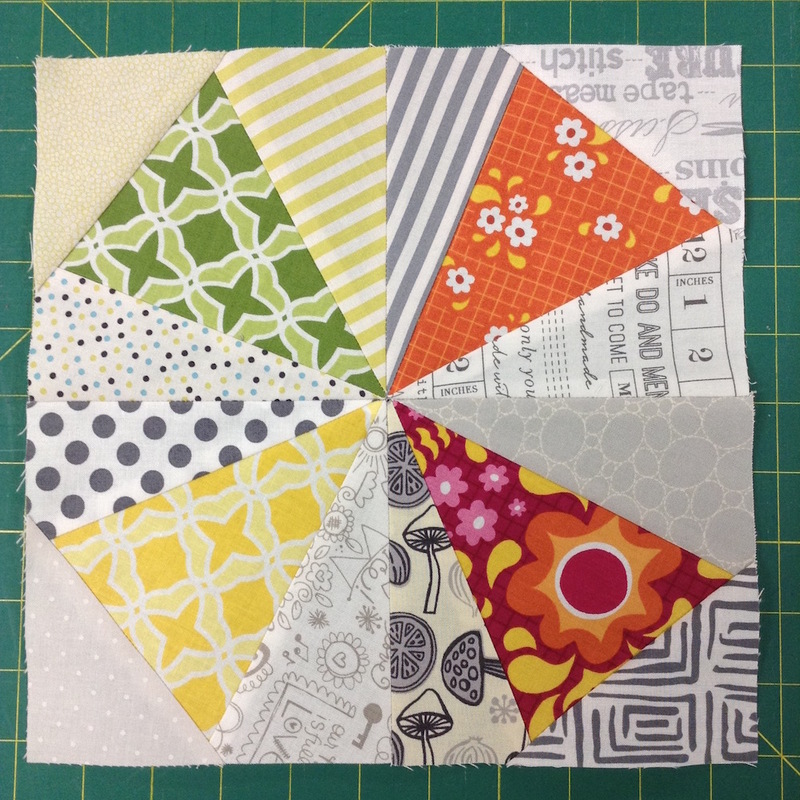 March was not a great month for me…..but I did get another 8 blocks done. 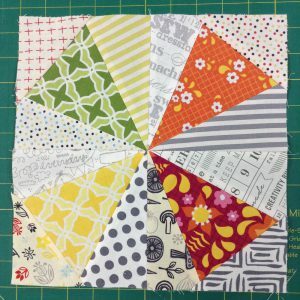 I am hoping that I will be able to get a lot more blocks in April since I now have an idea for using up my scrap fabrics….they have been haunting me for quite a while. Finally some real progress and I got to count some mystery quilt blocks finally. For March I finished 205 blocks for a year to date total of 247. Who knows what April will bring. I finished 138 blocks for March. What with a broken hip and now arthritic hands, my sum total for March is 6. Hope to do better in April. You sure made a lot of neat blocks. I got 12 done for March. My hubby did 55. He’s a sewing Ninja. I really like teaching him. He follows exactly what I tell him to do. Believe it or not he is getting really good. He matches seams perfectly and if their not, he tears it out and does it again till it is right. 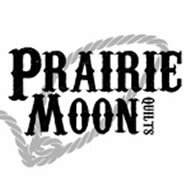 Gotta love a quilting man. All 300 lbs of him. Ya I married a giant. I made a total of 44 blocks. I had a short month as I spent the last 10 days of March in Hawaii. Not a “vacation” though, we brought my mom home to her final resting place. It was joyous and sad at the same time. I made 32 more blocks in March. I spent the month of March workong on a friendship braid quilt. I made six braids each measuring 58″ long x 7.75″ wide. Since 58/7.75 is roughly 7.5 I’m counting each braid as 7 blocks. So that brings my March total to 42. March was a good month: 49. More than I expected, really, but I am pleased with the total of 121 so far. A bit ahead of the curve, but not so many I can get lazy. I only got 35 made this month hopefully I can get more made next month. I love those blocks you made!! Can’t wait to see the rest of your blocks! 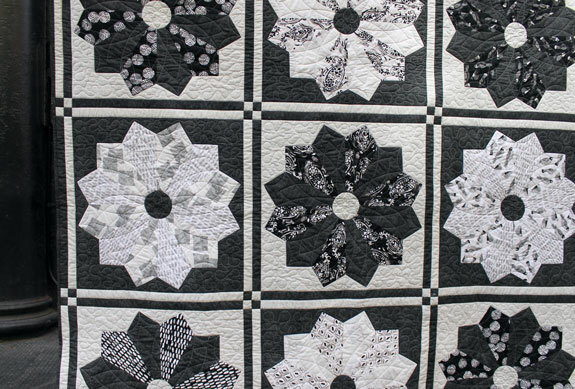 Love the dresden plate quilt you made. I finished 36 blocks this month. 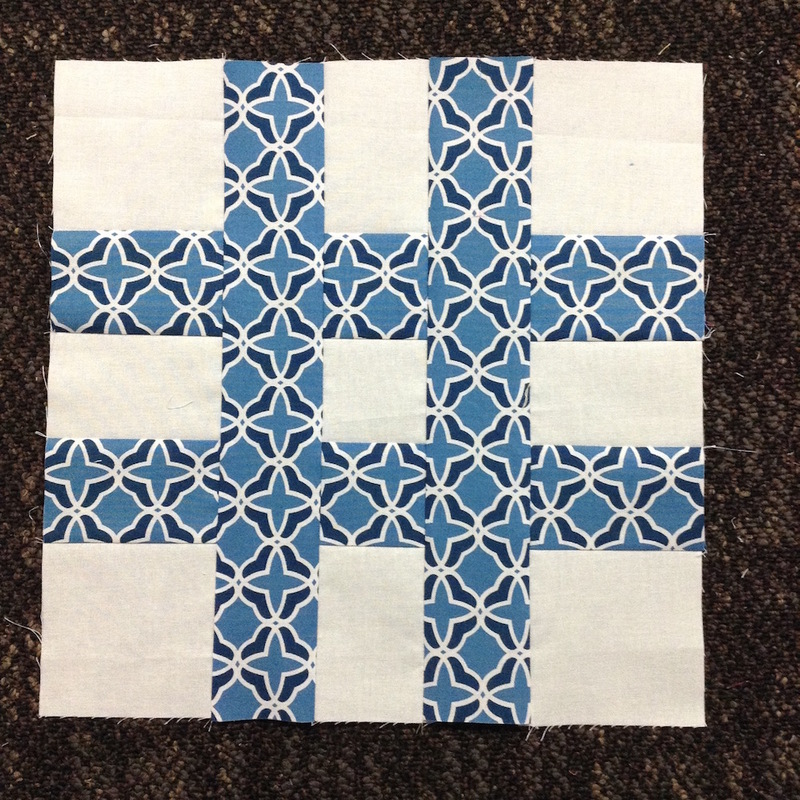 28 blocks for me….such a busy month, hardly had any sewing time the last two weeks. This month I made 65 more blocks. Thanks for all of your motivation. March was my lazy month, it seems. A sad 9 blocks only for a year-to-date total of 102. Looking forward to getting back at it in April. I made 2 blocks at your retreat!! Told you I was not going to have many. I set together 4 quilts though. March has been a busy volunteer month for me so only finished 23 blocks. Love your posts each week and feel motivated to dig out my WIPs (works in progress). Some have been in progress for years. I love your kaleidoscope blocks! Those are on my list for someday. I completed 5 blocks in March. That puts me at 16 so far this year. Thanks for letting me play even when I can’t keep up! Although I had a cast on my wrist (!) I managed to do 179 blocks this month! This makes a total of 339 for the year. Could be a lot worse!!! Thanks for keeping me accountable! I managed 34 blocks for March. I managed to get 39 blocks this past month. I made five blocks ~ yard work got in the way. Hope to do better this month. I only made 22 block in March. I’ve been working on bindings. I’m so far behind on getting bindings sewed on. I think I have 4 more to get done. I can hardly believe it myself, but I made a whopping 130 blocks in March. A slow month for me, a total of 31 blocks done. Not feeling the best this month but did accomplish a lot of reading. Only 1 this month, but I did quilt a few quilts which is nice. I thought I did quite well at finishing 49 blocks in March, until I read what others had accomplished! I managed to make 120 blocks for March. I am so behind on my Farmer’s Wife and 365 block challenge so maybe I can get caught up on them. I have 3 flimsies ready to quilt which must get done first though. I made 5 blocks this month. You had a very good month! I made 56 blocks this month. Quite a few, but I always slow down during the summer months. I made 30 blocks in March. I managed 64 blocks in March – exactly the same as February! I have 18 blocks for March. 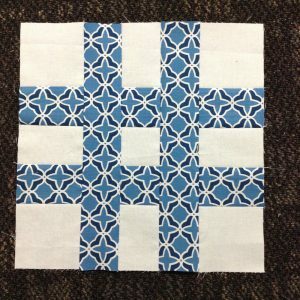 I finished 94 drunkard path scrap blocks now sitting n my design wall while I finish quilting my January – February quilt top! Very pleased with my progress and credit it to this monthly tally! 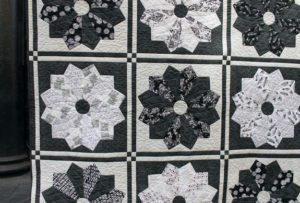 April’s goal is to start a new quilt for my grandson and finish piecing March’s quilt top together! Gradually working through projects trying each month to finish an old one and add a new one?!???? 59 new blocks for a total of 149. This month will only be busier, but at least the odds are pretty slim that I’ll tank out at the end of the month with pneumonia like I did with March! My total blocks for March is 31. My March total is 43 blocks. That give me a total 268 blocks. My total blocks for March is 25. I have just got to find more time for sewing!!! I got 57 blocks done for March. You sure did a lot of pretty blocks. Have a great day! I have done 5 so far since January! Hope this is where to post this. I finished 43 blocks and brings my total for the year to 218! I received my February prize last night (we were away for the weekend). 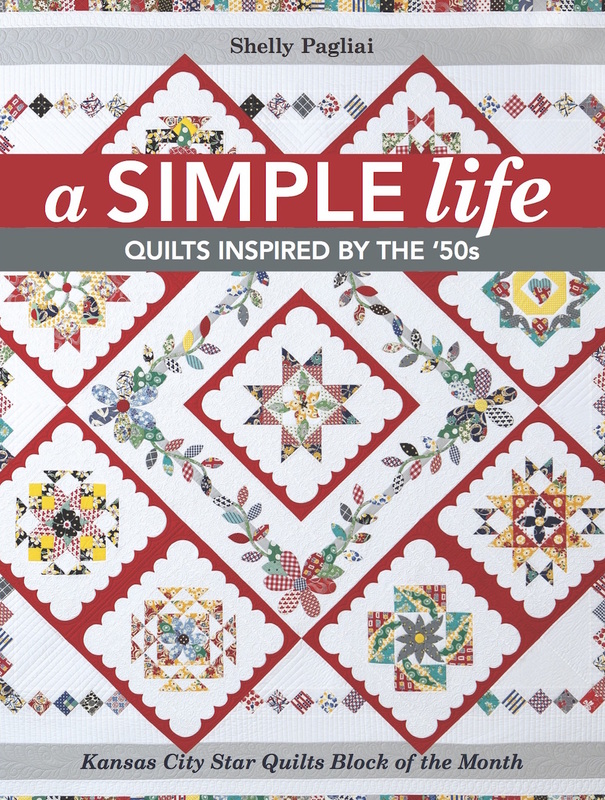 I have heard so much about the Aurifil threads but I have never tried them. . . .now I have no excuse. I love the little elephant redwork. I am thinking I may use it as a pocket front. The little fabric squares will be used at some point. . I just don’t have any ideas yet. Thank you again. . .it was a wonderful surprise.